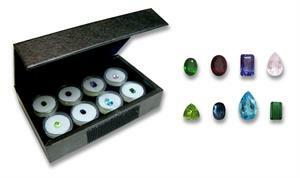 Item #CGC-8-450: Colorful Gemstone Collection including Chrome Diopside, Mozambique Garnet, Iolite, Pink Morganite, Peridot, Blue Sapphire, Swiss Blue Topaz and Green Tourmaline, weighing over 1 carat each. 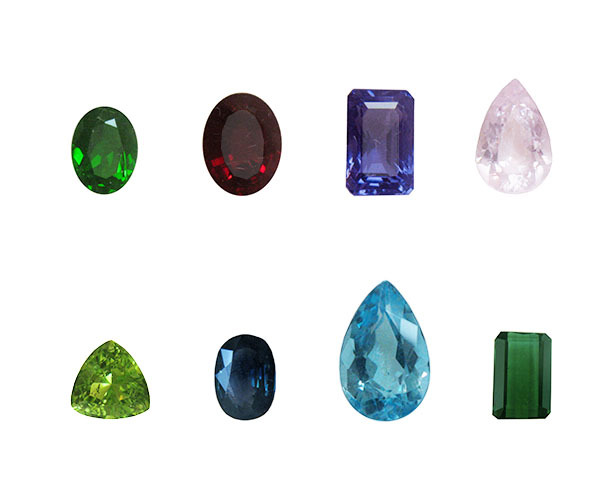 The shapes of the gemstones will vary, and no two sets will be identical. A free 7x9mm oval Gem Amethyst is included with each set.